Available for a lease starting between 7/7/18 and 7/14/18. Gut rehabbed South Loop loft 1 bedroom w/exposed brick walls, brand new kitchen with stainless steel appliances including a dishwasher, built-in microwave, and gas range, brand new wide plank floors, and a brand new modern stylish bathroom. Apartment Amenities: Stainless Steel Appliances, including built-in microwave, gas range and dishwasher. Laundry in-unit. City Views, Vaulted Ceilings, Spacious Open Floor plan, Exposed Brick Walls, Quartz Countertops. Community Amenities: Online Payments Available, 24 Hour Fitness Gym, Rooftop Deck with Grill Stations, Bike Storage, Elevator, ButterflyMX - Smartphone Video Intercom System, Garage Parking Available for $150 per mo; $255 for tandem parking for 2 cars, $75 for scooters. Cats & dogs welcome, no weight limit but breed restrictions apply, $250 pet fee total & $30 pet rent per pet. $350 admin fee per apt. Tenants pay $30/mo water/sewer/trash fee. Renter's insurance is required. 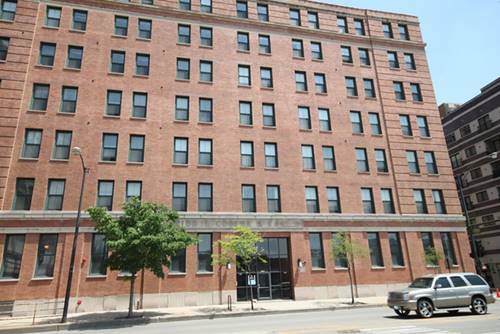 For more information about 1545 S State Apt 504, Chicago, IL 60605 contact Urban Real Estate.